4.5" x 7.375" x 1.75"
Old Leather by Bosca is hand-stained Italian leather. It has a glossy finish and a classic look. Old Leather is certified Italian Vegetable Tanned leather. Delivered in signature Bosca packaging - perfect for gift giving. 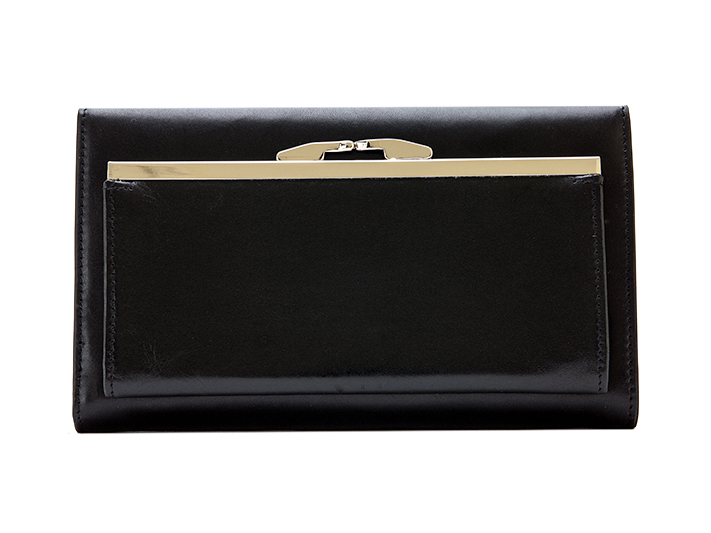 Our Large Checkbook Clutch holds EVERYTHING in a deceptively sleek design. With hand-stained Old Leather, 7 card pockets and an i.d. window, 2 stash pockets, an interior checkbook holder and matching removable checkbook, pen holder, and a divided currency well, the interior doesn’t skimp on storage. The exterior is finished off with a snap closure, shiny nickel hardware, and a framed, gusseted full-length compartment for coins, currency, and receipts. 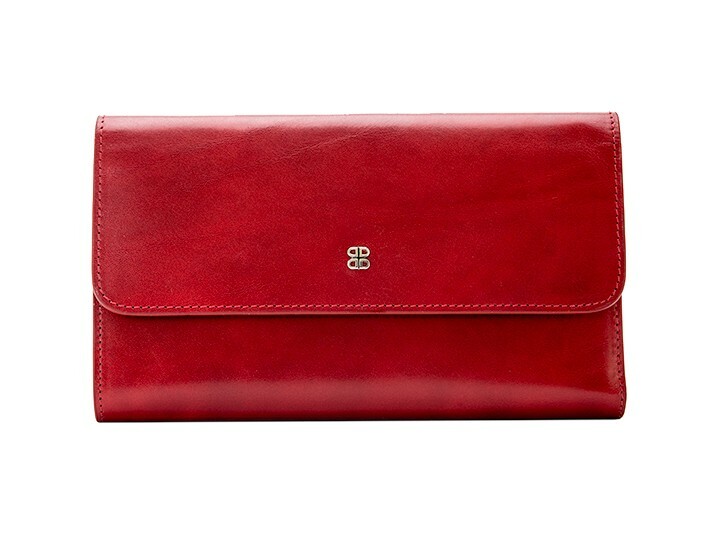 Brick red for daily use,compartments for everything (espec. coin purse),smells great & looks great.She loves it! Perfect by itself or stuffed in a larger purse. She gave me a black Bosca billfold yrs ago that has worn well & held together under tough usage. This was a gift for my wife and she couldn't have been more pleased. The leather is of fine quality and it is elegant in style. Lasted more than18 years and still looks good - very similar to the longevity of the circa 1972 coach bags which lasted forever. Bought this - I think - in the late nineties and think it is now time to go beyond basic black. Love, Love, Love these products - in a world of big-name hyper-commercial junk in which every designer seems to insist I am a billboard for their name in the largest possible letters Bosca stands alone. Will continue to purchase until such time as someone decides a gigantic red "B" is put on the front of the product. Let that never happen. OK, let me be honest. 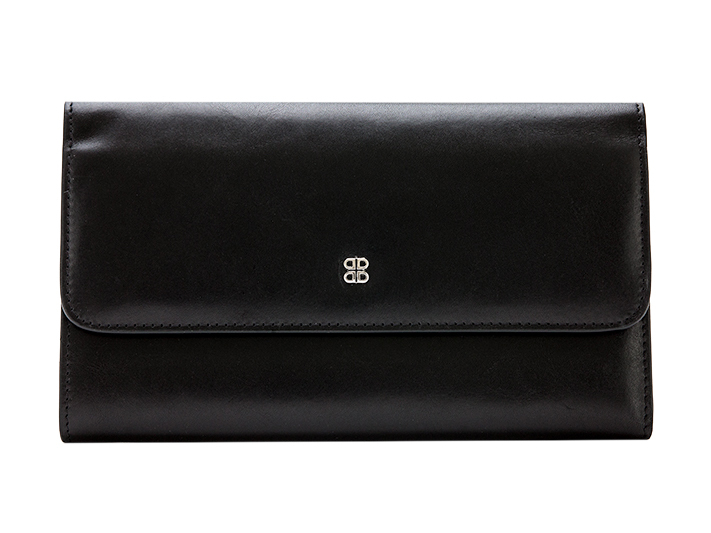 I bought this clutch by Bosca more than 25 years ago. It is an everyday use item for me. It came in a dark navy color back then and the color has not faded and it is in great shape. The design of the coin compartment has little round ball clasps on the metal frame instead of the current version of longer, slim metal claps. The pen holder is slightly different, too, but everything else looks the same. The quality of this leather piece is unbelievable. It will just not wear out. Sure, mine has a few aging marks and a bit of the stitching around the outside corners has disappeared, but come on....25 years? The sturdiness and luxurious feel of this full-grain leather wallet, made in the USA, is absolutely fabulous. Worth every penny. Beautifully made and tastefully designed. My wife could not have been more pleased with this gift.